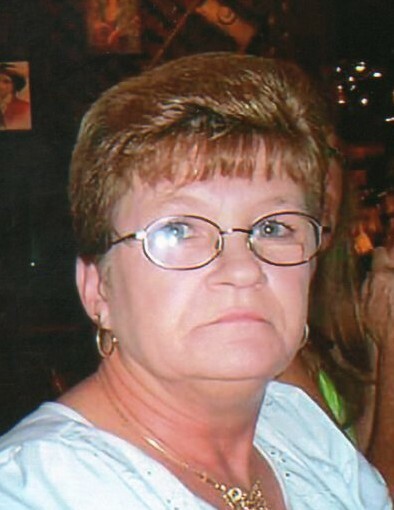 Karen Sue Phillips, age 63 of Adams, died Tuesday, January 22, 2019 in Nashville. Memorial services will be conducted Saturday, February 2, 2019 at 11:00 AM in the Oakhurst Chapel of Robertson County Funeral Home with Chasity Farmer and James Biggs officiating. The family will receive friends Saturday from 10 AM until the hour of service. Mrs. Phillips was born June 27, 1955 in Springfield to the late William Brooks “Buster” Adcox, Sr. and Lucinda Elizabeth Biggs Adcox. She was a seamstress and enjoyed dancing and loved to laugh. In addition to her parents, she was preceded in death by a sister, Doris Adcox Biggs. She is survived by her husband, Michael Phillips of Adams; sons, Robert “Buster” England of Oak Grove, KY, James “B.J.” Phillips and wife Gina of Springfield, and Steven “Brad” Phillips of Allensville, KY; daughter, Angela Phillips of Ashland City; brothers, Jim Adcox and wife Shirley of Everett, WA and Bill Adcox of Nashville; sisters, Ann Adcox Crenshaw of Springfield and Brenda Adcox Clinard of Springfield; brother-in-law, Russell Biggs of Greenbrier; grandchildren, Patrick Swanson, Brooklyn Phillips, Joseph Swanson, and Lydia Phillips; great grandchild, Gabriella Swanson; and her little dog that she loved, Little Bit. The family request, if so desired, for memorial contributions to be made to the American Cancer Society. All donations can be sent c/o Robertson County Funeral Home.